When the surgery is closed and you need urgent medical assistance, please dial 111. This is a free phone number from both landlines and mobile numbers. 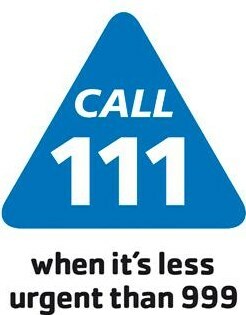 In a genuine emergency you should call 999. Chest pains, Signs of a Stroke or shortness of breath constitute an emergency. We are a group practice of five GPs who look after patients living in and around North Walsham. Each doctor provides a full range of medical, maternity, contraceptive, minor surgery and child health surveillance services. The GPs are on the minor surgery and child health surveillance lists. We aim to provide patients with a friendly, efficient service with a high standard of care, and welcome ideas that will improve our service for our patients. As part of our work with North Norfolk Primary Care we are now able to offer improved access with evening and weekend appointments. Please speak to reception regarding this new service we have available. If you are unable to make an appointment, please let us know. Over the course of November we lost just under 22 hours of appointment time across 106 appointments due to patients not showing up for their appointments. Norfolk Primary Care has created an online video library containing medical information and guidance. You can view this at the link below. Dr McIntosh thanks the Paston surgery patients for their concern during her leave from the surgery. This was due to the sudden death of her husband. She asks that you continue to respect her privacy and her wishes not to discuss this sensitive issue during the consultation. The surgery received a routine visit by the CQC on November 15th 2018, receiving a report of 'Good'. A summary graphic can be viewed below, while the full reports can be read from the CQC website.